We all appreciate the value of getting the lowest possible price. But when multiple stores offer the same product, how do you know when you’re getting the best deal? You could try showrooming, a shopping technique where you visit one store and use it as a “showroom” to test out product quality, then go online to see which retailer is offering the product at the lowest price. Or, you could try these price-matching tips featured at Wise Bread. Price matching is often better than showrooming because you can match in-store sale prices that might not be listed online. Here’s what you need to know. To become a price-matching super shopper, you need to learn which stores offer the best price-matching policies. For example, Target will match any lower price you bring in within seven days of your original Target purchase, according to Wise Bread. Some stores make it even easier for you to price match. 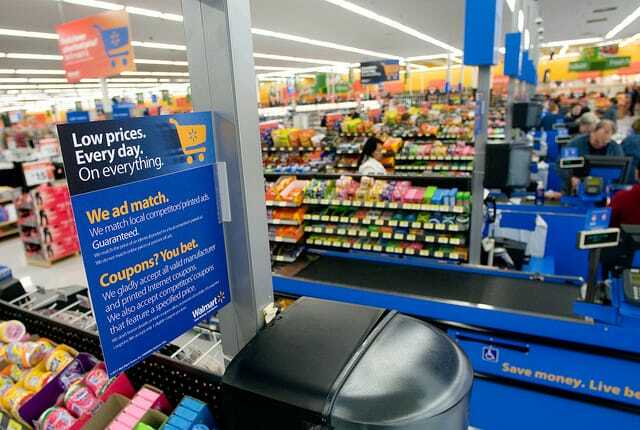 Walmart, for example, has a Savings Catcher app where you can type in your receipt number and the app will search competitor ads to see if there are lower prices for any of the items on your receipt. If there are, Walmart will honor the price match. Price matching is great, but you don’t want to spend hours trying to figure out if you can save 10 cents on a carton of milk. If you want to be a super shopper, use tools like Walmart’s Savings Catcher for the little things and save the big price-match quests for the big-ticket items. Buying a brand-new laptop at Best Buy? It’s time to go online and see if you can find a lower price, because Best Buy will honor most price matches. Here’s another example from the Wise Bread story: If you’re buying a major appliance at Lowe’s, keep in mind that Lowe’s offers a 30-day price-match guarantee and they beat competitor prices by 10%. In those cases, it’s worth investing some time into making sure you get the lowest possible price. Want to know more? Read the full story at Wise Bread. Your Turn: Have you ever tried price matching? Do you have tips for other Penny Hoarder readers?